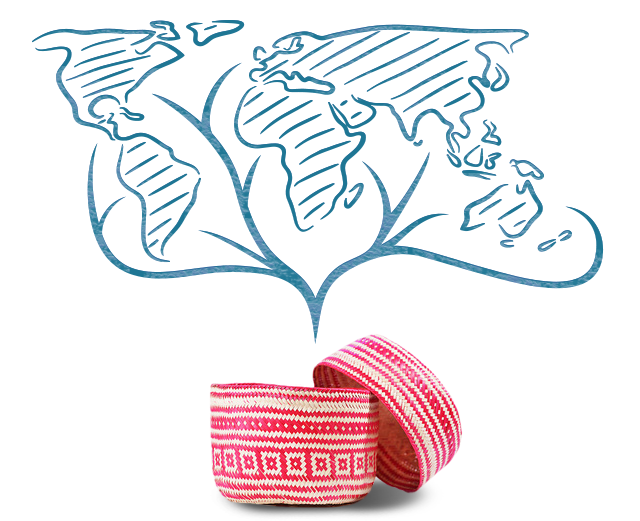 The October 2015 GlobeIn Benefit Basket will come with a Fair Trade Scarf by Marquet Fair Trade. Colors will vary. 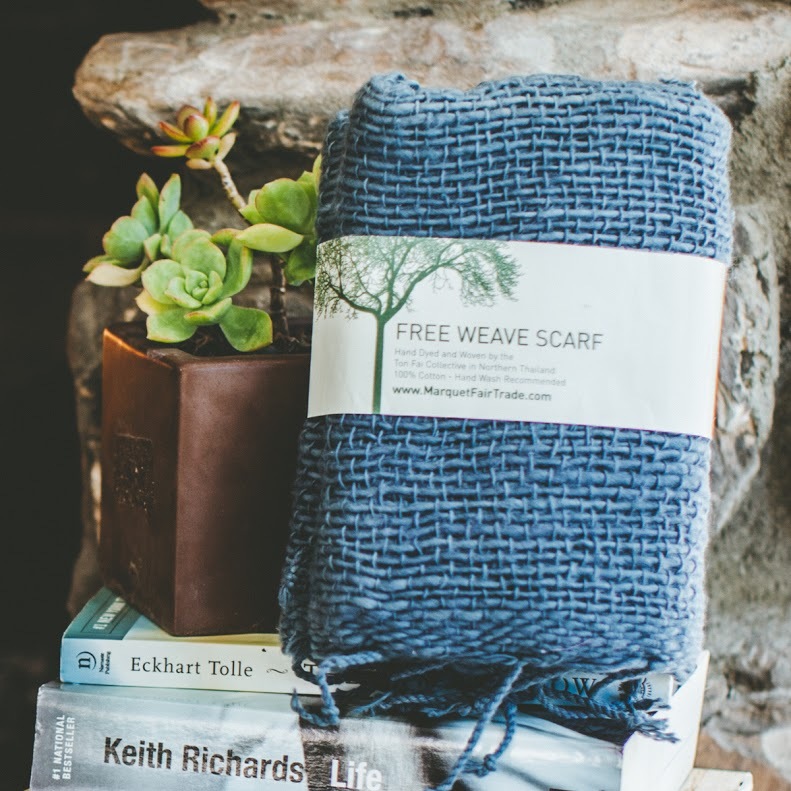 "Your scarf is made in Thailand by the members of the Ton Fai, or “Cotton Tree” artisan group, who weave products on a traditional hand-built loom using 100% locally-grown cotton. Whereas many rural Thai are forced to leave their families and seek work in the city to earn a secondary income, the weavers work on their craft between harvesting and planting season, integrating it into their farming lifestyle. Picture your scarf being woven by neighbors working together against the backdrop of their idyllic mountainside home." Each Benefit Basket comes with the GlobeIn Signature Handwoven Basket from Mexico. These are handmade from discarded palm leaves using a traditional "tenate" design. These are made by indigenous Oaxacan artisans and are colored by natural, water-based paints. Sign up here to get the October Benefit Basket before it sells out. New customers can use coupon code TRYBENEFIT to save 35% off first month's basket with a 3-month Benefit Basket subscription.